"The investor and Web browser pioneer Marc Andreessen thinks we'll all look back in 20 years and conclude that Bitcoin was as influential a platform for innovation as the Internet itself was. He says that tech companies think their meetings with President Obama on privacy are a waste of time. And he calls net neutrality a "lose-lose." 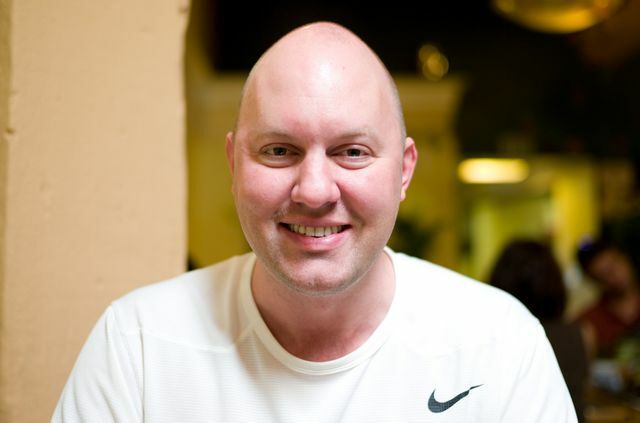 In a wide-ranging interview with The Washington Post this week, Andreessen painted a picture of a future that's distributed, messy and fraught with tension"
Digital stocks. Digital equities. Digital fundraising for companies. Digital bonds. Digital contracts, digital keys, digital title, who owns what — digital title to your house, to your car. Like for example, you get a digital title on a car, attached to a digital key, where you own your car on the Bitcoin blockchain and on your smartphone. The key for opening your car and starting your car is tied to that title. And if I sell you my car, automatically you get title, and you get the key that lets you operate the car, and it's all digital, and it's all unique, and it can't be cracked. You've got digital voting, digital contracts, digital signatures. You've got unique pieces of digital content. If you guys wanted to know exactly who had every piece of content you ever made, you can track that. It's this long list. And then every aspect of financial services: insurance contracts, insurance derivatives, currency exchange, remittance — on and on and on. It gives you a chance to basically go after this very broad category of online business in a new way. And, by the way, if we had had this technology 20 years ago, we would've built it into the browser.